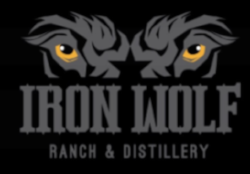 Big Game and Great Music for this weekend at Iron Wolf Ranch & Distillery . We will be opening early this Saturday at 11am for the UT-OU game. Wear your colors! There will be prizes for those who cheer loudest! We will also be having the Greers aka “Get Right Ramblers” perform At 5-8 pm. As always we have feature cocktails, tastings and some great food by Sevens Out BBQ and plenty room for kids and dogs on leash too. So come hungry and bring your pack!